When We Were Strangers is set in the early 1880’s. 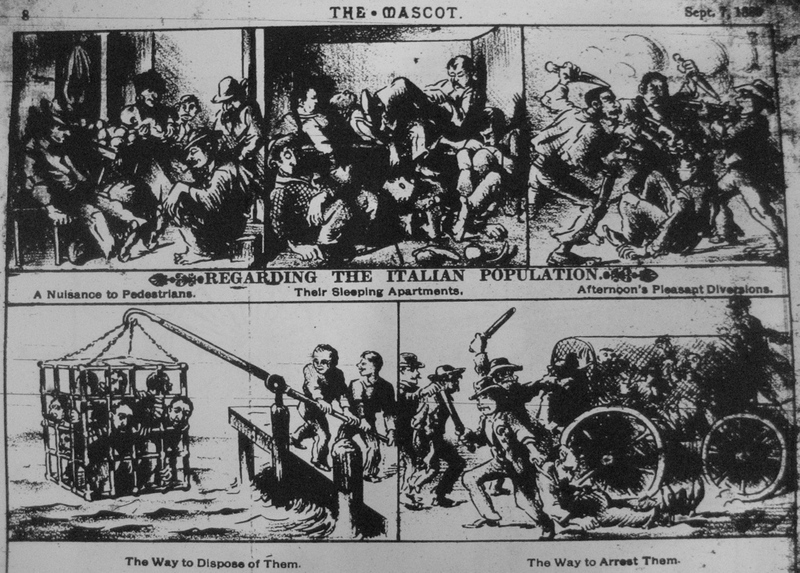 A few years later, rising immigration from Italy began to unleash what now seems astonishing, rabid anti-Italian prejudice of which this cartoon is, believe me, a relatively mild example. The idea of a merrily bubbling melting pot seems to have existed only in scattered moments of our history.